So here we are 9 days into 2017 and 4 days ago I turned 31, I'm really not entirely sure how I feel about that one! I usually wait until my birthday to really set out a plan for the year ahead, it's the one good thing about having a birthday at this time of the year, I get to start a new year with a brand new age so it really feels like a clean slate. I've made a few decisions about how I'd like 2017 to go and my main priority is my own immediate family, the boy child and the OH. We spent a lot of 2016 caught up in our extended family affairs that I felt we or more so I neglected my own family unit. Don't get me wrong I love all of my family but before anyone else, I need to ensure that my most inner circle is ok first before I can get involved with others. I'd like this year to see us step back from everybody else for a while and concentrate on ourselves. That's kind of as far as I got with any kind of resolution for this year because it feels like an important one and that's ok too. I naming it the year of "Us"! I'm a natural born worrier, I stress myself to a ridiculous point and it never proves fruitful. 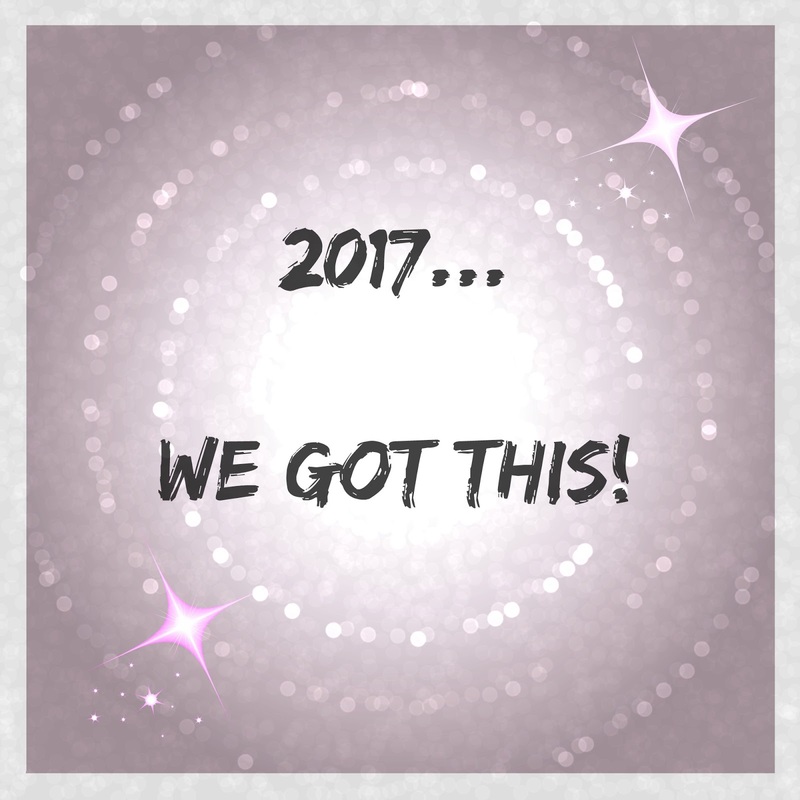 This year, although I sincerely hope it will be better than last year, I am ready to deal with whatever it throws my way. As long as we have our health, a roof over our head, food in our belly and somewhere warm to sleep at night I feel like the OH, the boy child and I can deal with anything. It's so easy to get caught up in what we don't have or what we can't change when we really need to make the most of everyday with what we have, all the while continuing to work towards our hopes and dreams. I hope that this year will be a more productive one and all the things that got pushed to the side last year can become a focal point again for me. My health will play a major factor this year too, it's time I didn't keep putting that on the back burner, no more fobbing off a visit to the doctor, just mind myself and keep myself healthy. Diet and fitness, like most years, is at the top of my list but no quick fixes and the diet won't be starting until all the Christmas goodies are gone from the house, ask me again in February how it's going!! So there you have it, another new year with refreshed hopes and dreams and a bucketful of positivity to really begin our new year. What new years resolutions do you have?? love your motto for 2017. i chose one word to live by this year and that's "kindness" - i want to be more kind to myself and to those around me. wishing you all the best for 2017!